In our review of Daily Digestive Enzymes, we will dispense all the information customers need to know about the product. The manufacturer has produced this product with a blend of plant-sourced enzymes that assist in the healthy digestion of men and women. The product is supposed to help your body digest and absorb fats, carbohydrates, proteins and cellulose molecules to support stomach comfort. The manufacturer has designed a formula which promotes uptake of nutrients that encourage a stronger digestive system. The active ingredients help your body to digest foods efficiently and effectively. The inactive ingredients in the product are Vegetable Cellulose, Microcrystalline Cellulose, Magnesium Stearate and Silicon Dioxide. The manufacturer has recommended that adults, 18 years and older, should consume 1 capsule immediately before each meal. You should consume 1 dose daily unless the doctor has stated otherwise. Do not exceed the recommended dosage. The manufacturer has warned pregnant and nursing women and individuals with a health condition to visit a health expert before consuming the product. Certain customers said the product made them ill after consumption. The product consists of 180 vegetarian capsules that cost $21.97 on the manufacturer’s website. The product, however, is sold out on the official site. The manufacturer has not included shipping costs in the price. Upon subscription, you will be entitled to a discount. After checking the official website rigorously, we found out that the manufacturer has not provided a guarantee for the product. When the manufacturer has omitted a guarantee, the customer has taken on the risk. If the product is ineffective, the customer would have wasted his or her money. After examining the product, we were able to discover certain aspects of the product that will interest consumers. 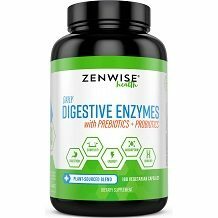 Zenwise Health has produced Daily Digestive Enzymes with a blend of plant-sourced enzymes that assist in the healthy digestion of men and women. The product is supposed to help your body digest and absorb fats, carbohydrates, proteins and cellulose molecules to support stomach comfort. 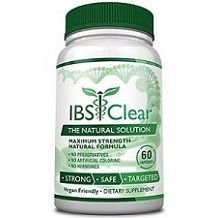 The manufacturer has designed a formula which promotes uptake of nutrients that encourage a stronger digestive system. We were concerned to see that the product is not available on the official website. The product is listed as sold. Furthermore, the manufacturer has not provided a discount on the product nor has it included shipping costs in the purchase price. We were perturbed to find that the product does not come with a guarantee. The consumer will have to take a risk when purchasing the product as there is no opportunity for a refund if the product fails to deliver results. While looking at the customer testimonials, we were able to discover some unsatisfied customers. Certain customers mentioned that the product did not work for them, and they felt ill after taking the product. The customers who did not see any results had wasted their money as they cannot get a refund.